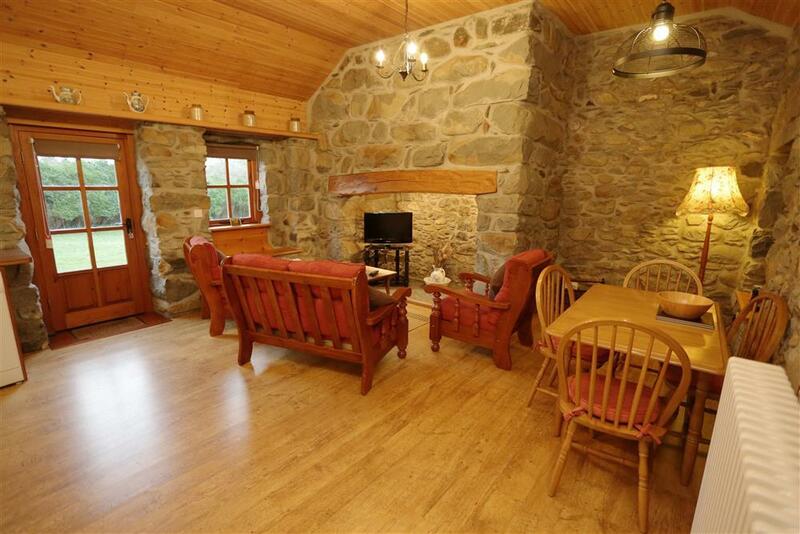 This lovingly restored Welsh cottage is of high quality and is guaranteed to be warm, inviting and extremely comfortable. 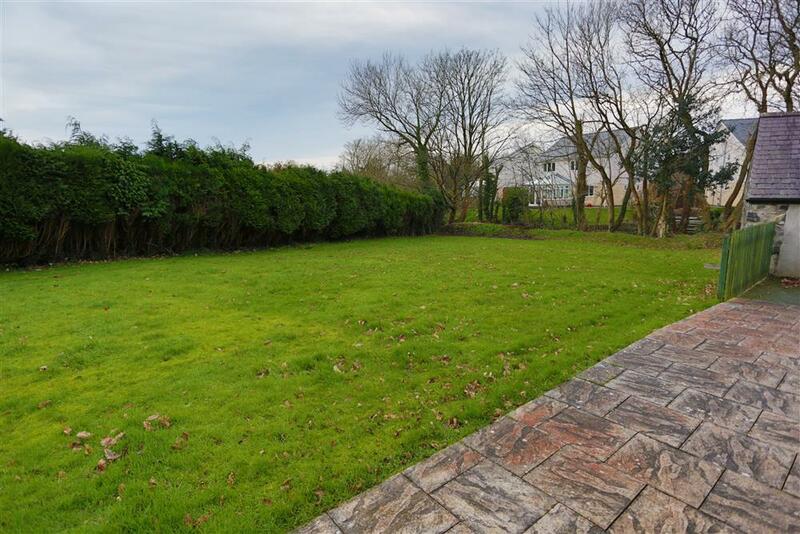 Situated in the village of Chwilog, about a 10 minute drive from the ever-popular seaside village of Cricieth and roughly the same distance to Pwllheli. 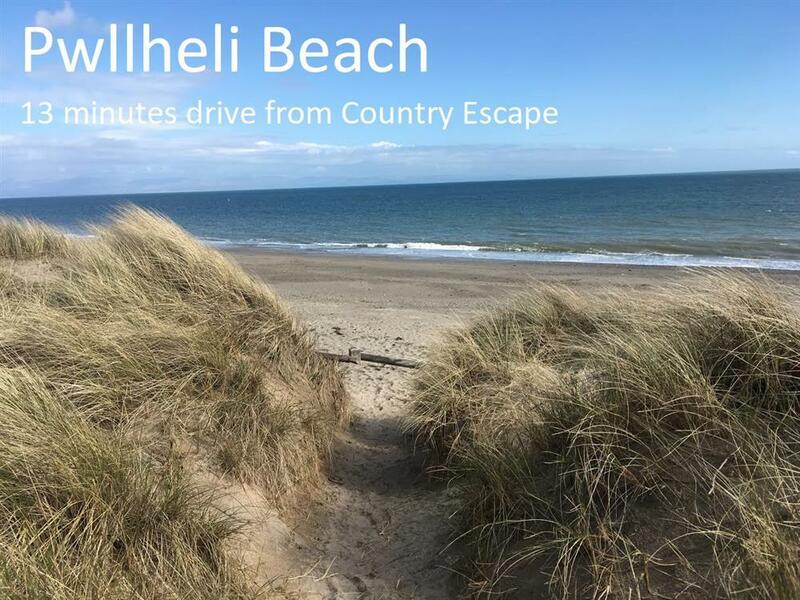 Cricieth (4 miles) is a pleasant coastal village, situated only 5 mls from the Snowdonia National Park, whilst being on the edge of the Llyn Peninsula, it's rolling green countryside stretches towards Ynys Enlli (Bardsey Island). 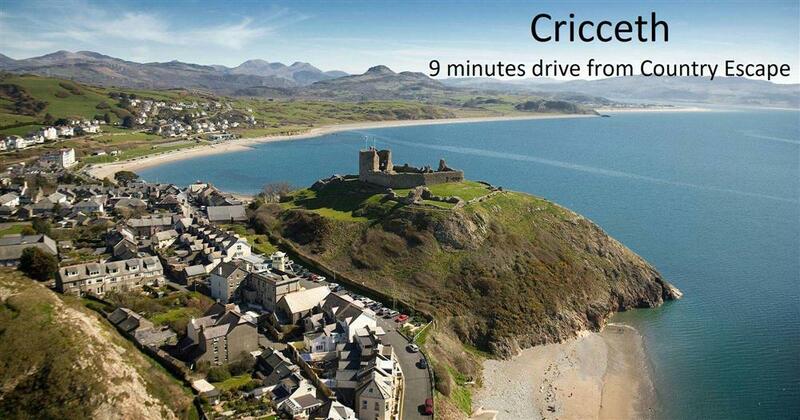 Also close by is Nefyn, famous for its 18 hole golf course on a peninsula with dramatic coastal views. Chwilog is a small village with a shop, Post Office and a great local butcher. Great food and a pint in the Feathers, Llanstymdwy (4 mls) or in one of the pubs in Cricieth. 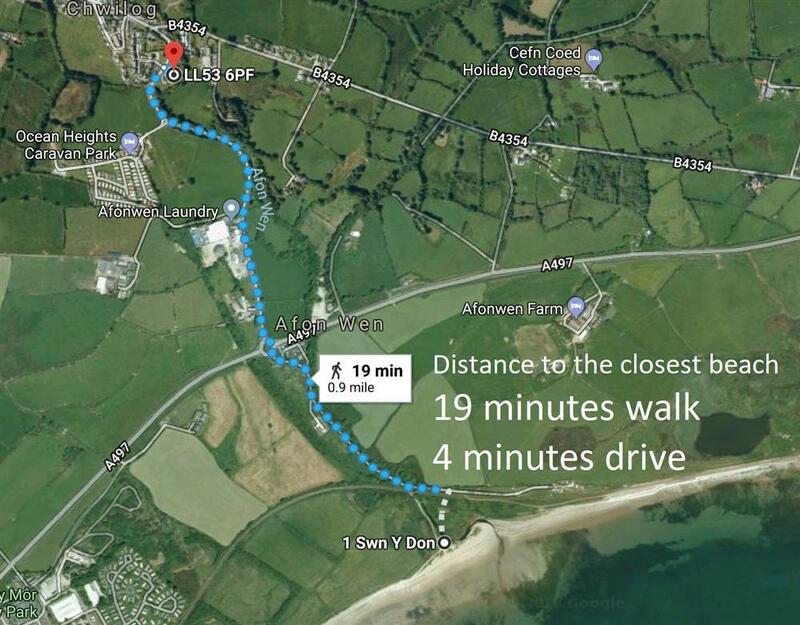 Just over a mile away is a long, sweeping beach where the Afonwen river meets the Cardigan bay. Peaceful walks await you here. 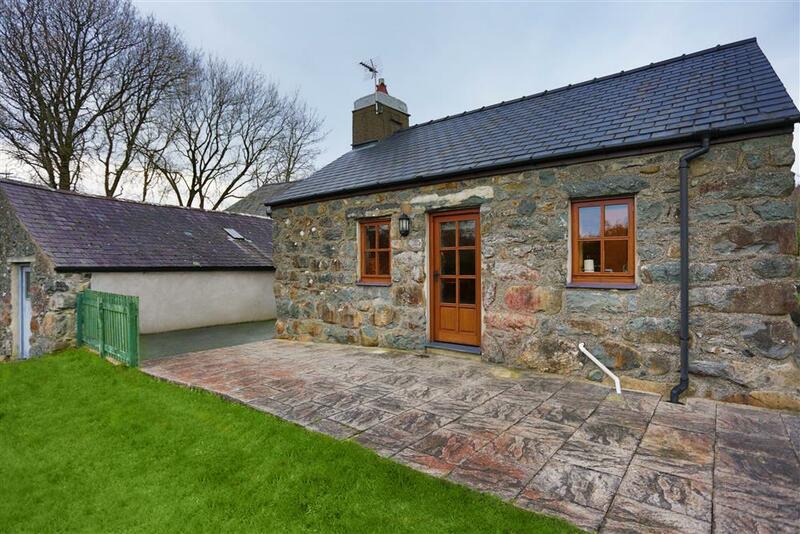 This single storey property is ideal for couples wanting to visit the Llyn Peninsula or Snowdonia National Park whilst staying in a quiet location with a short walk to an evening meal - this cottage is very calming and will make you feel refreshed. A regular bus services runs from the village every 30 mins to Pwllheli and Porthmadog. 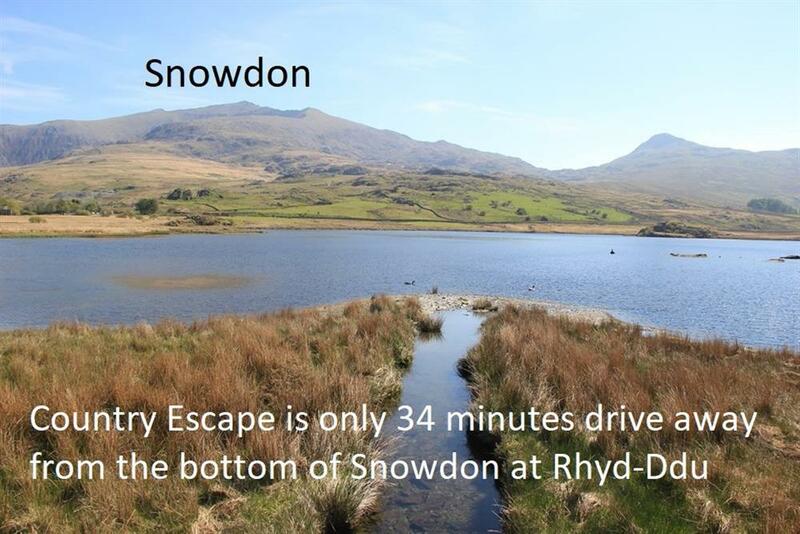 Extremely convenient for days out if you would like to leave the car behind. 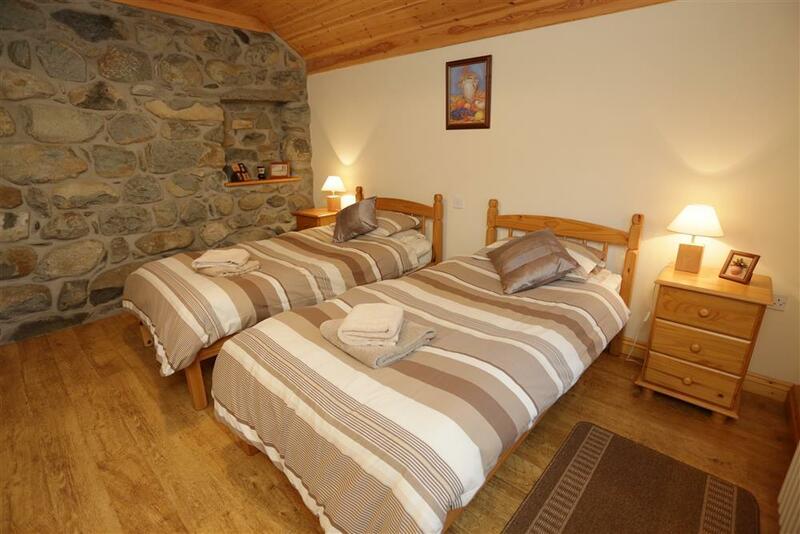 1 BEDROOM: 1 Twin bedroom with two single beds. Bed linen and towels provided. 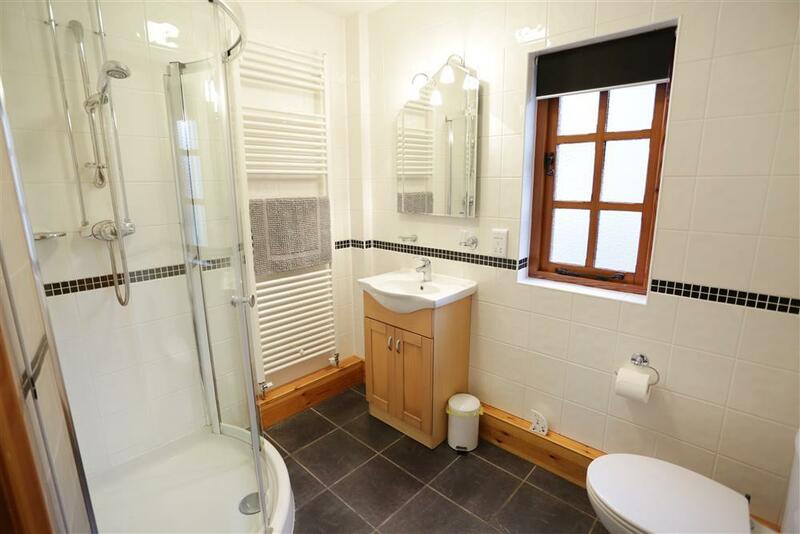 SHOWER ROOM/WC: Shower, hand wash basin with heated towel rail. Open plan LOUNGE: Flatscreen Freeview TV & comfortable seating. 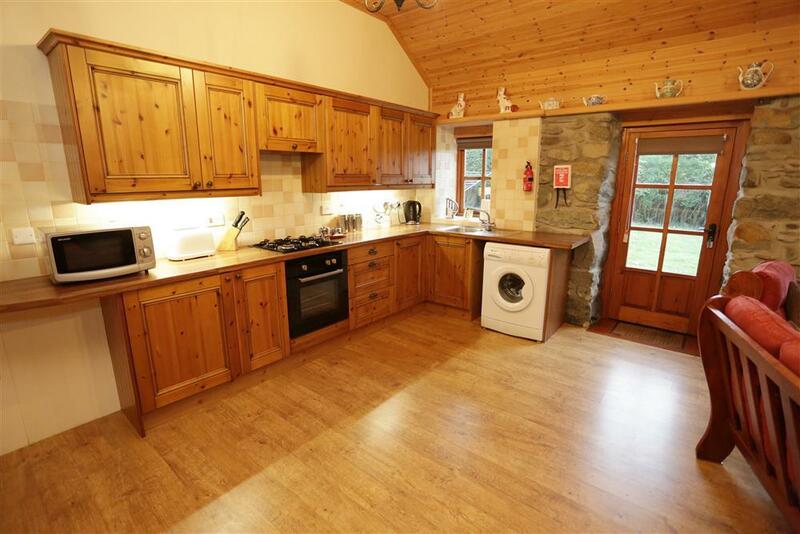 KITCHEN/DINER: Fitted kitchen with views over the garden and dining area. Gas hob and electric oven, fridge, microwave, washing machine. GARDEN: Partially enclosed, lawned area with the river acting as a far wall. Pets will need to be kept on a lead. PETS: Yes, one well behaved pet welcome. 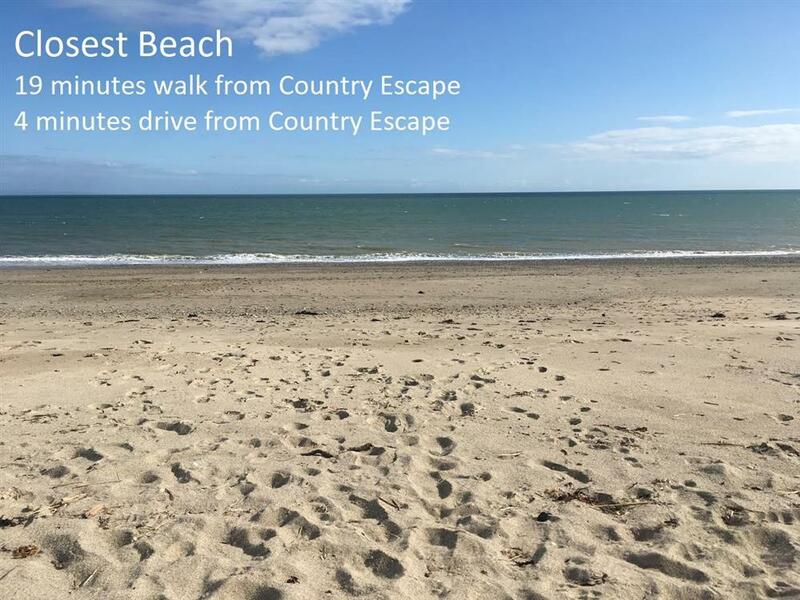 Mrs S (June, 2018): "We thoroughly enjoyed our stay at Country Escape. It was everything we could have wished for in self catering accommodation. The beds were extremely comfortable. 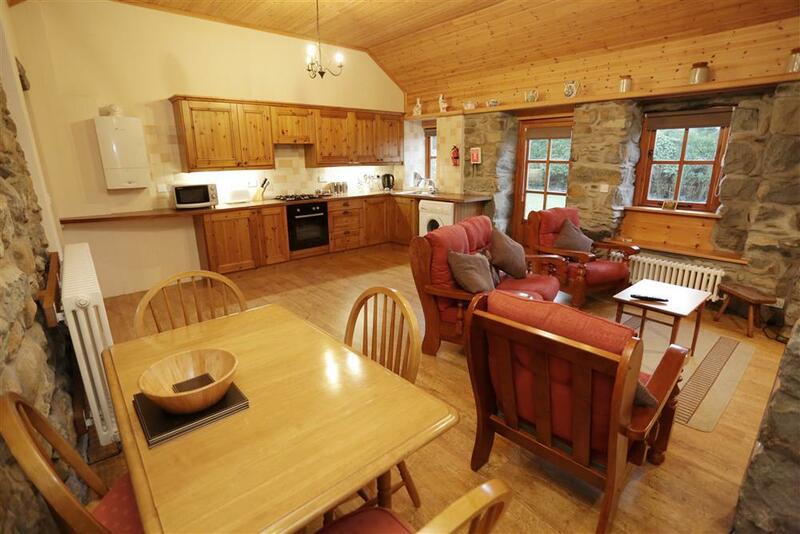 The cottage was warm and the kitchen very well equipped . We were welcomed warmly by the owner who couldn't have been more helpful. All in all A very happy stay. The location was excellent for visiting the beaches and surrounding countryside." Mrs S (June, 2018): "Very clean and comfortable property. Owner very welcoming, great garden." Mr & Mrs A (June, 2018): "Beautifully appointed cottage with everything we needed." Mr & Mrs C (June 2017): "Another stay in this wonderful cottage. Lovely spot, good weatheer, enjoyable stsy, very warm." P, C (July 2017):"Another lovely holiday in your beautiful cottage." E & B (Aug 2017): "Had a great week in lovely cottage." A & C (Aug 2017):"We had a great time! Lots of lovely places to visit nearby & lovely beaches." S & H (Aug 2017):"Great stay with you and the weather was excellent for exploring." T & M (Sept 2017): "Wonderful stay in well equipped cottage. Hope to return." 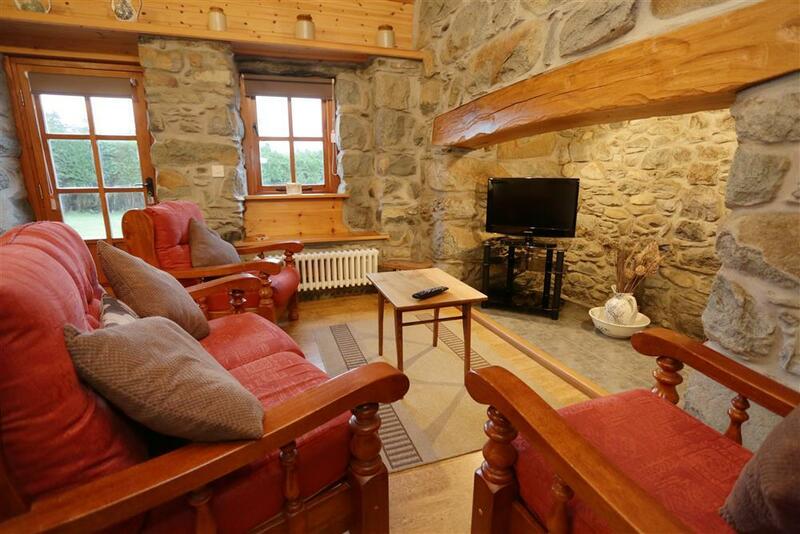 "Attractive stone work and double glazed windows and doors. Open plan lounge/diner/kitchen all well equipped and attractively furnished. 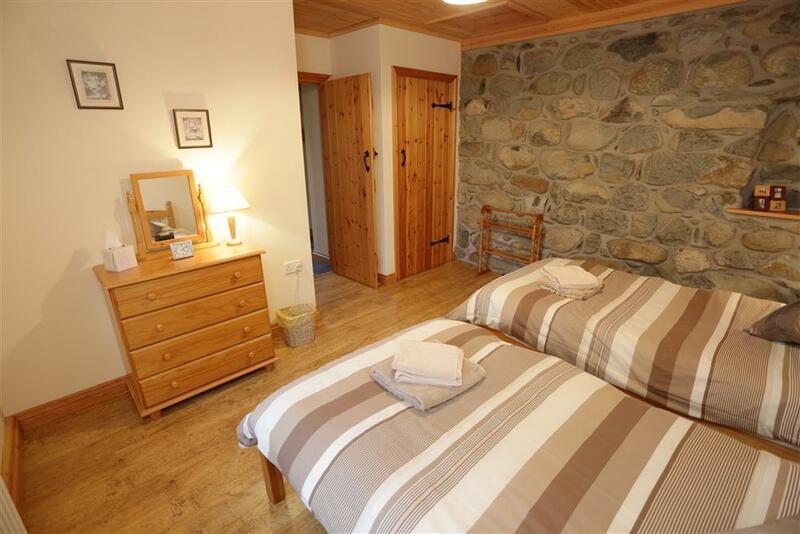 Spacious twin bedroom, modern shower room. Pristine housekeeping throughout." The barn was converted to one self-catering cottage. Approach is from a minor road down a private tarmac drive (no gate) to a parking area sufficient for three/four cars <10m from the front door. There is a tarmac and slab pathway running from the car park to the front door, providing level access. This is all on the ground floor, level throughout, with doorways of width approx. 760mm. 15cm step up to the front door. (Can be seen in picture). The bedroom and shower room open off the hallway. Lighting is good, with bedside lights, centre lights and dressing table light. Shower has a 15cm step into it with no grab handles. The electric sockets in the kitchen are at worktop level. There is plenty of additional lighting in sitting room, which is open plan off the kitchen. The television has a remote control. There is no phone.